LYCRA is strutting side by side with swimmers and kaftans on Noosa's Hastings St in a bumper weekend for the region's tourism sector. Accommodation houses, restaurants and tourist attractions have barely had a moment's break since the Easter long weekend. The gorgeous warm weather, consecutive long weekends and Queensland, New South Wales and Victorian school holidays have created the winning formula for the best April tourism season in the past decade. This weekend's Noosa Ultimate Sports Fest will help bring even more visitors to the region, with 6000 athletes plus supports filling rooms across the region from the budget-style accommodation to five-star luxury. The event starts today with the swim events, followed by the run and cycle events to be held tomorrow. The family-friendly events will add an extra hype to the already buzzing atmosphere in Noosa this weekend. Noosa will host thousands of sporting enthusiasts as well as a multitude of famous athletes including professional triathletes Belinda Granger and Justin Granger, open water specialist Trent Grimsey, ironman champion Melissa Haushildt and Olympic swimmer Ky Hurst. Sunshine Coast Destination CEO Simon Ambrose said local operators were savouring the moment to show guests a great time in the region. "The brilliant weather has again worked in our favour and we are showing good results again this weekend," Mr Ambrose said. "This is the best start to the season we've seen in the past 10 years. 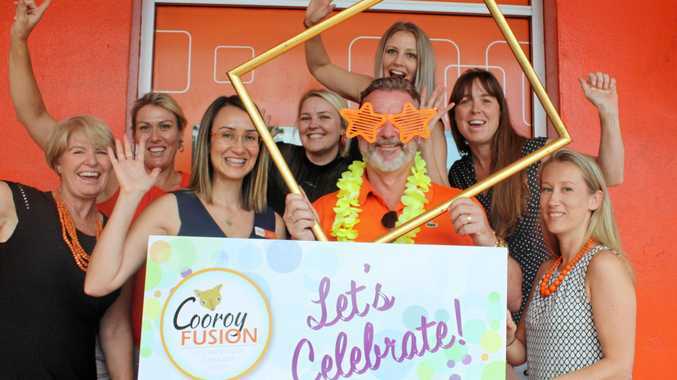 "From Christmas right up to now, we have been busy across the Coast and the makeup of public holidays has meant we have had double the opportunity to show visitors what the Sunshine Coast is all about. "Events like the Noosa Ultimate Sports Fest are fantastic ways to end the long weekend and bring people to the Coast." Sheraton Noosa general manager Stephen Ferrigno has described the resort as "bursting at the seams" with a diverse mix of families and couples. Funds return may be the better value.